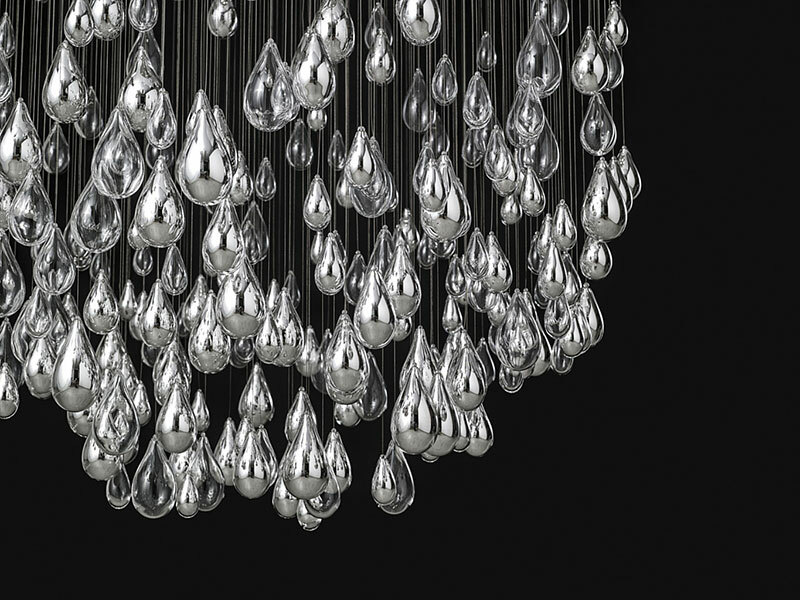 A contemporary chandelier in the shape of a droplet of water by designers Jan Plechac and Henry Wielgus. The design was originally an installation for Chanel during Prague Design week featuring ice droplets slowly melting into a pool of water. The installation has now been realized into a stunning piece of light sculpture that will complement any home. 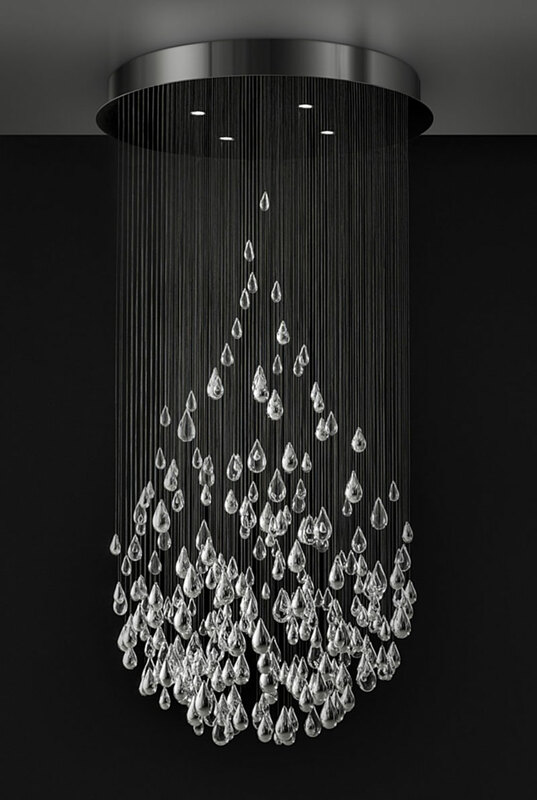 Inspired by nature, emotion and a unique frozen moment, this lighting sculpture reminds us of our fascination with water. 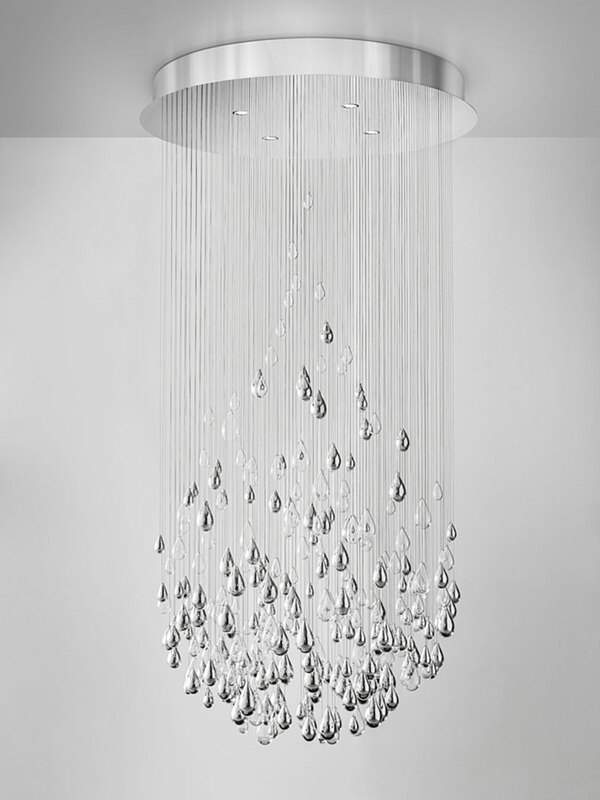 It captures the perfection of the natural movement when water collects into a drop. The entire composition, as well as the individual elements and their shapes play with the magic of water, air and gravity. The harmonious density gradient highlights this instant, providing sensations of depth and motion. 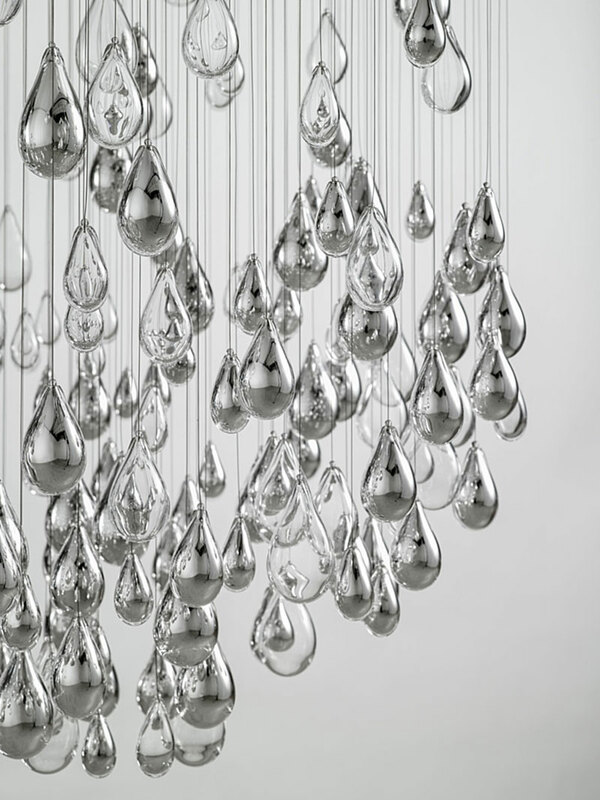 A contemporary chandelier in the shape of a droplet of water by designers Jan Plechac and Henry Wielgus.